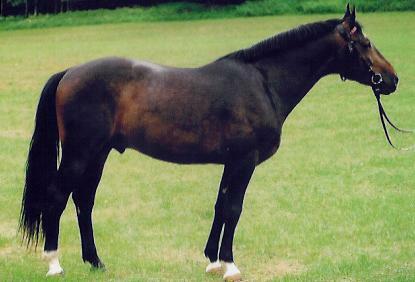 Altwurttemberg horses were developed in Germany by the Wurttemberg Prince House, but without an obligatory breed goal. About thirty horses from Normandy were used between 1872 -1888, crossing with English Thoroughbreds, Holsteins, and Oldenburgs. Eventually the Altwurttemberg horse was established. They are a strong and beautiful horse breed but unfortunately, they were not greatly appreciated or needed, so instead the Wurttemberg Sport Horse was developed, and was highly prized for a time. Altwurttemberg horses are wamb looded and are found in all basic colors. They are 155 to 165 cm high. After 1950 the Altwurttemberg was threatened with extinction; however by 1988 in Marbach, Germany, initiatives were made to preserve the breed. They exist in limited numbers today.